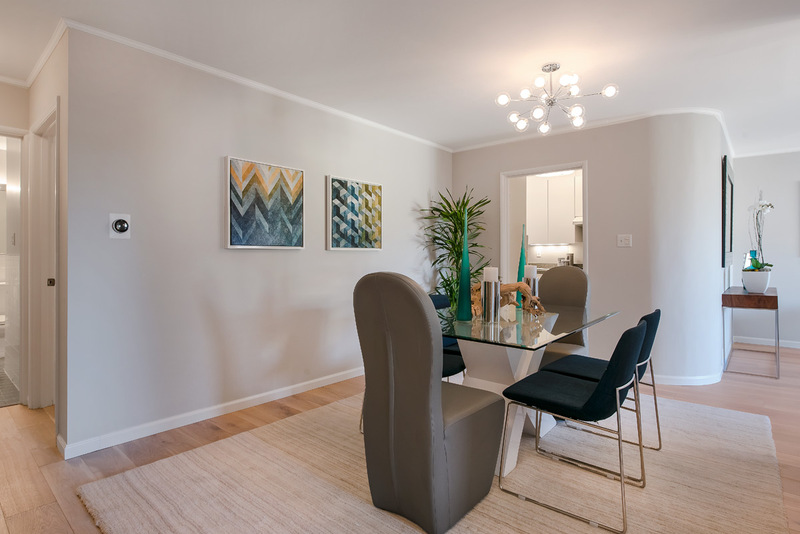 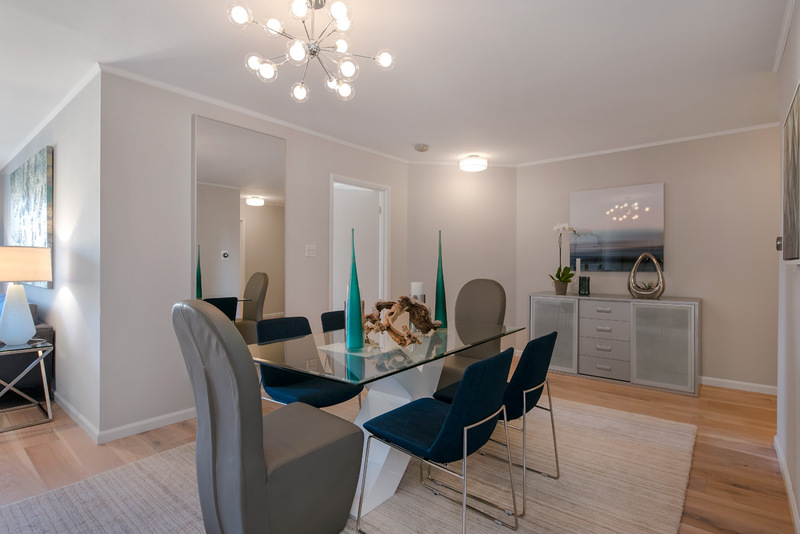 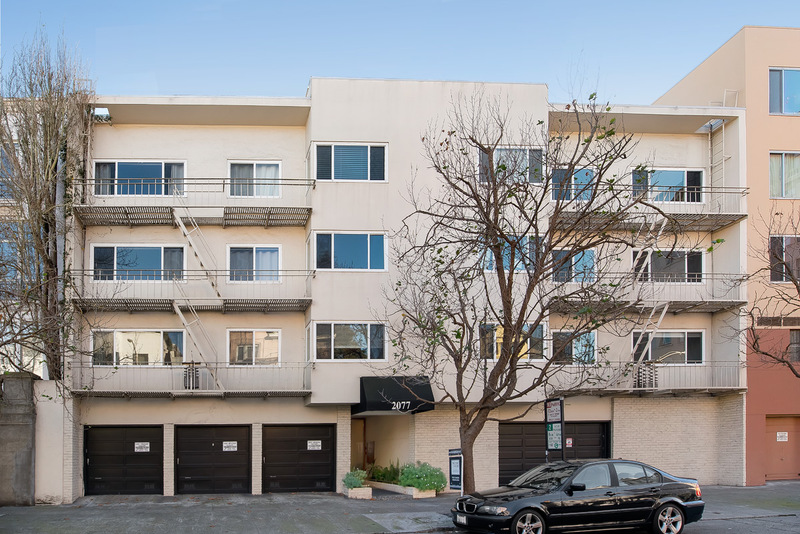 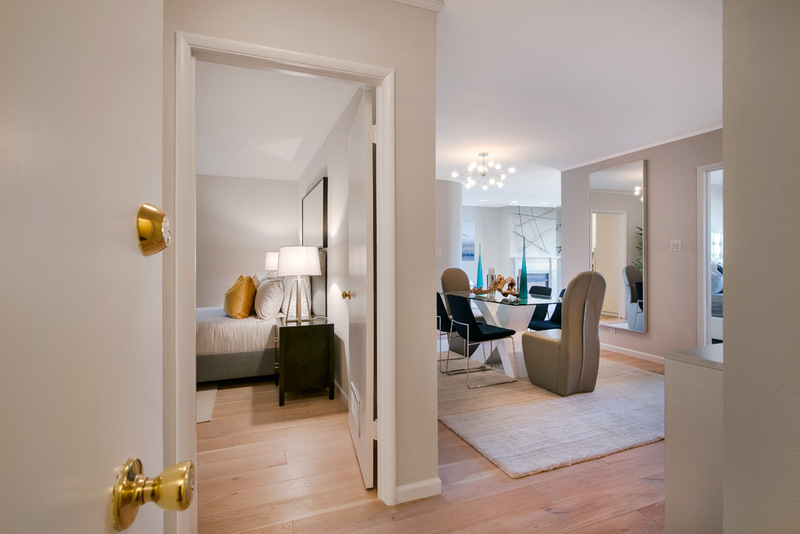 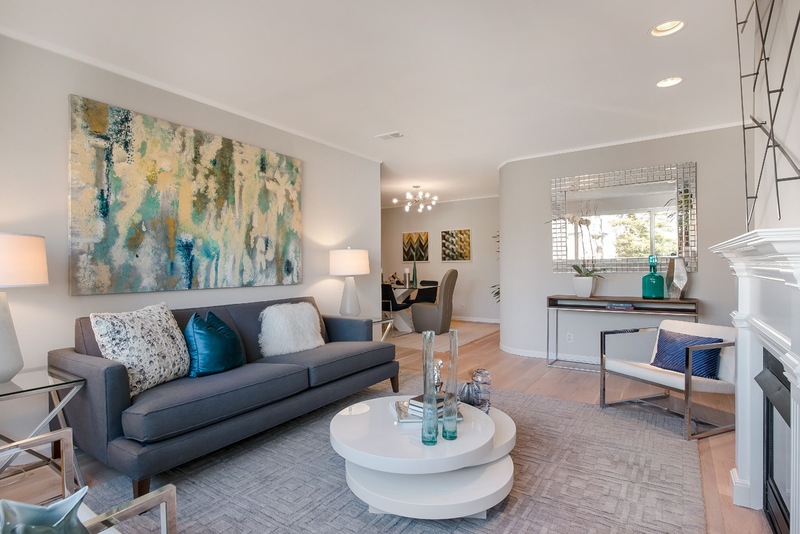 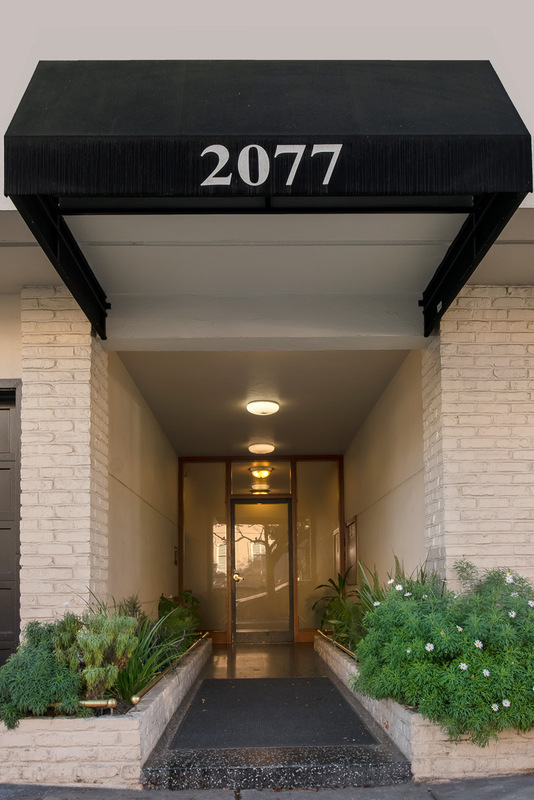 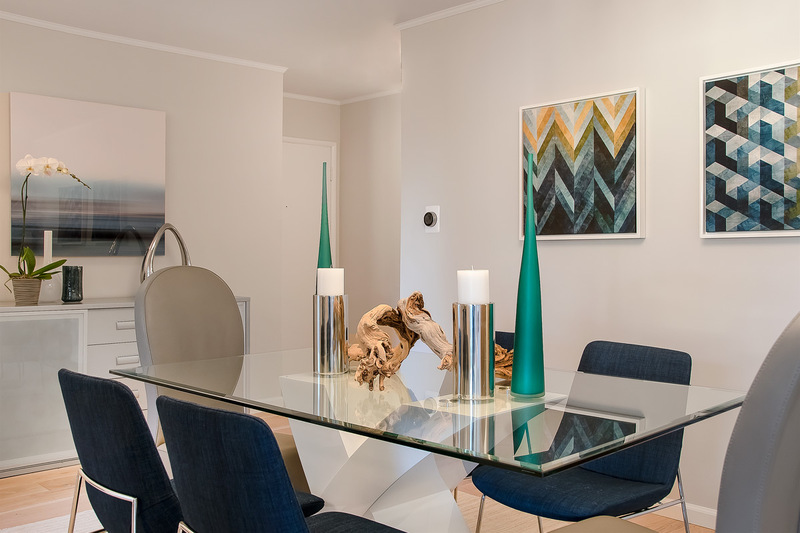 This stylish, Mid century style condo in an elevator building is ideally located on a quiet, tree-lined block, in a prime Pacific Heights location. 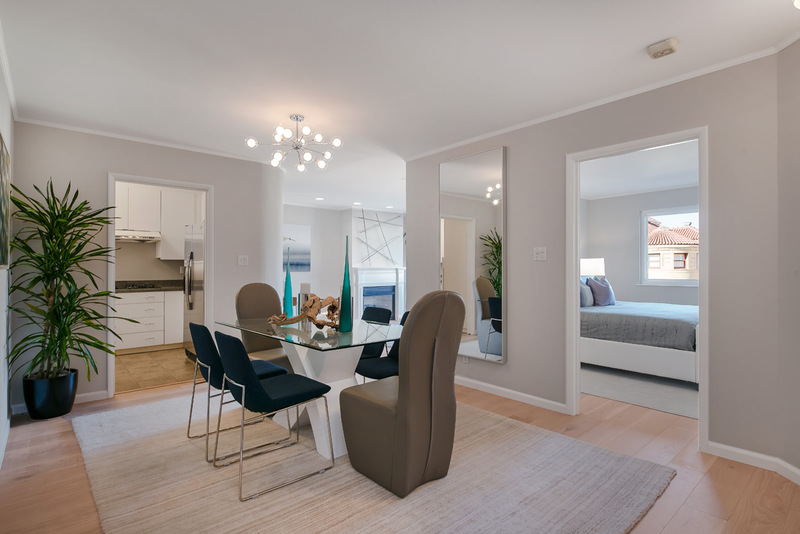 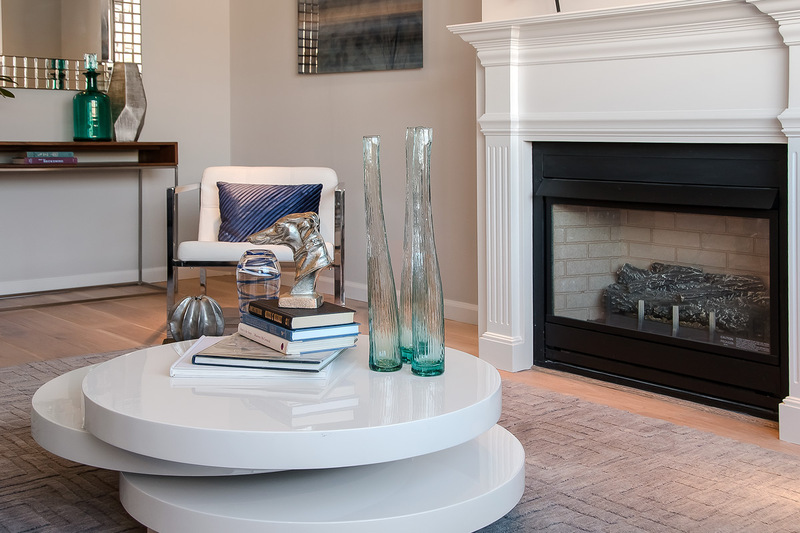 #301 is the largest unit in the building — a top floor, corner space that is light-filled and features custom grey-washed wide plank white oak flooring throughout, a large living area with a fireplace, flowing into the gracious dinning room alongside the kitchen with updated appliances. 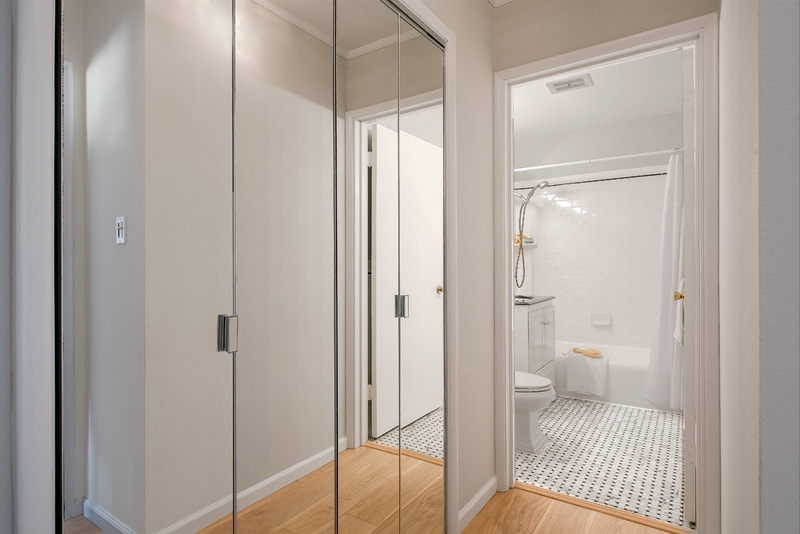 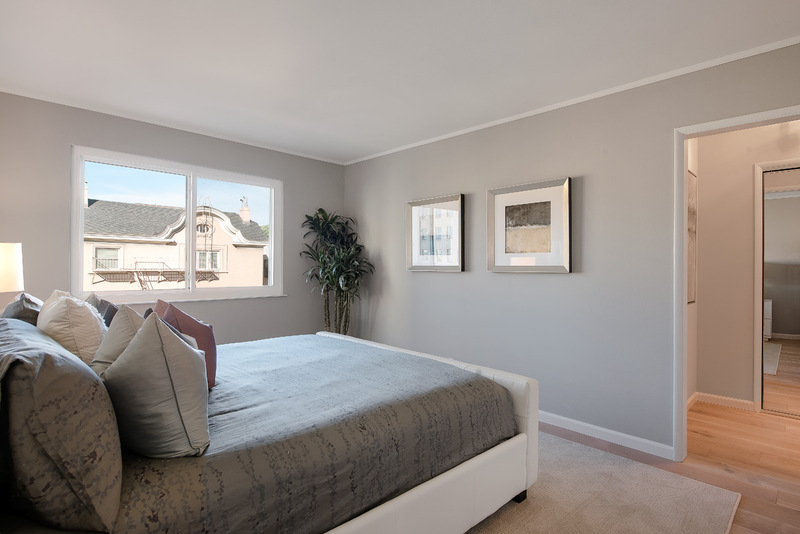 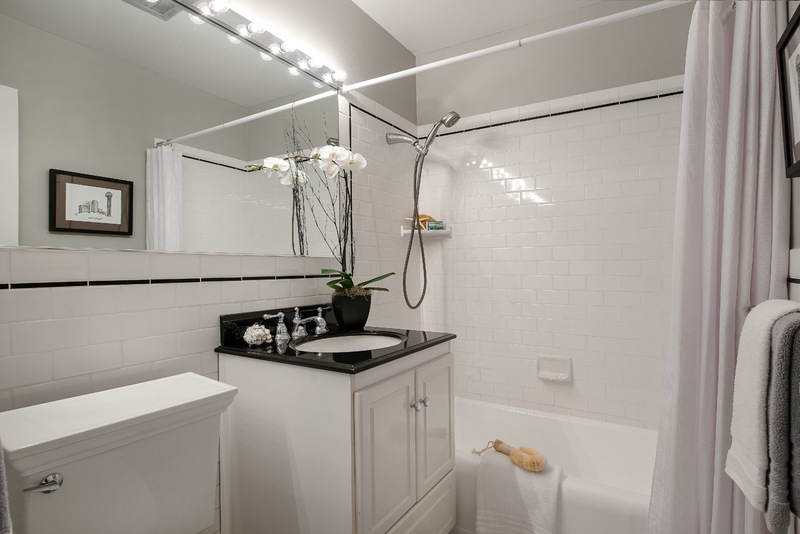 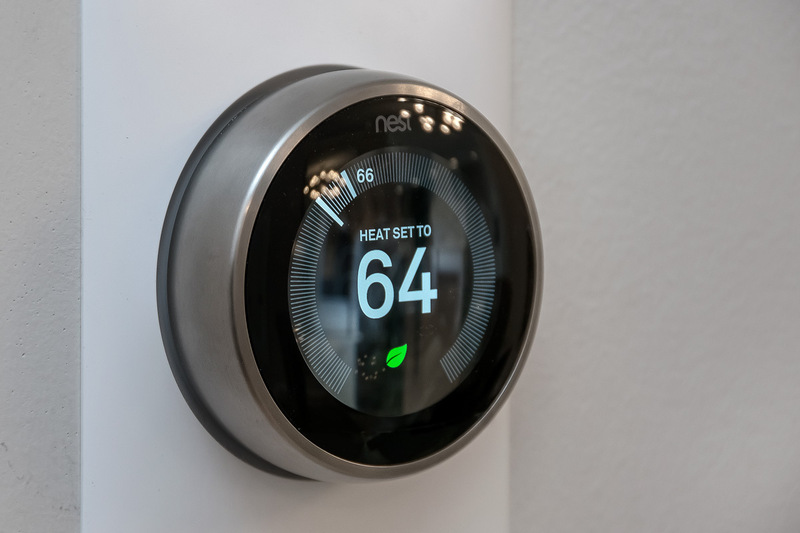 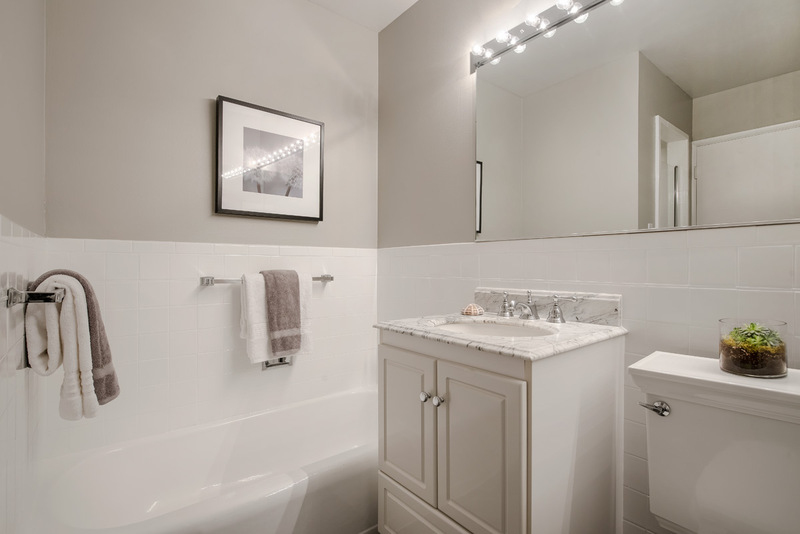 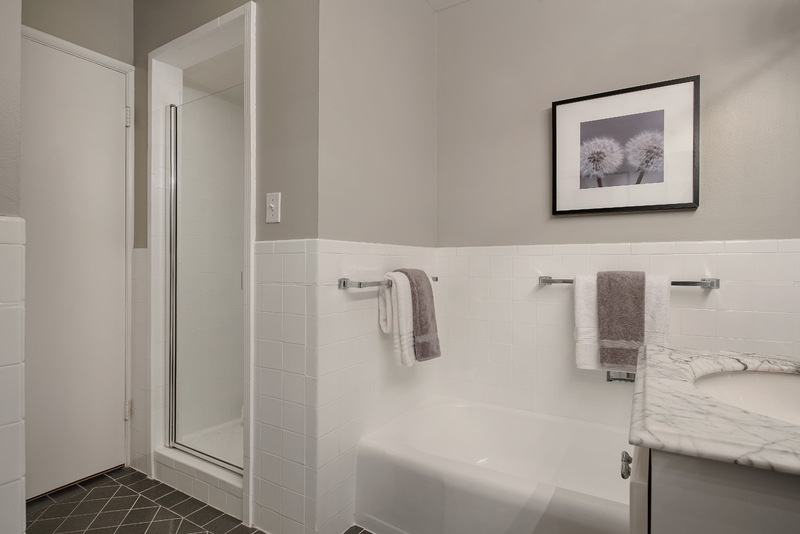 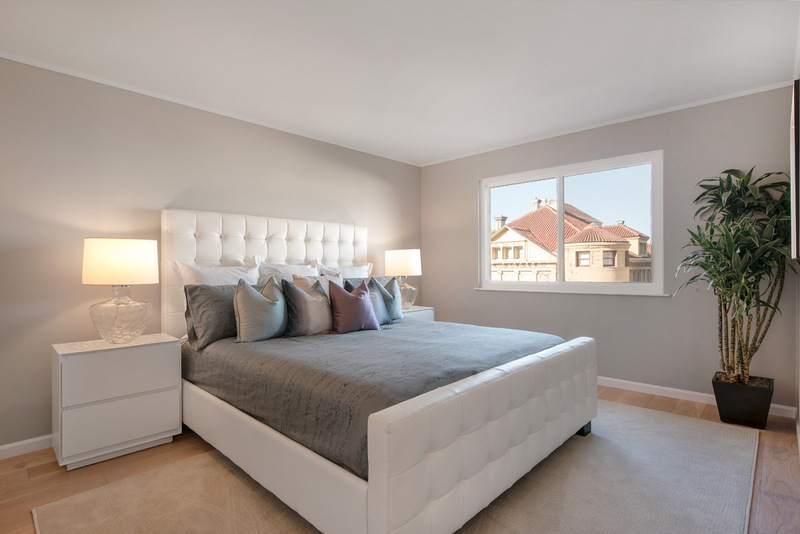 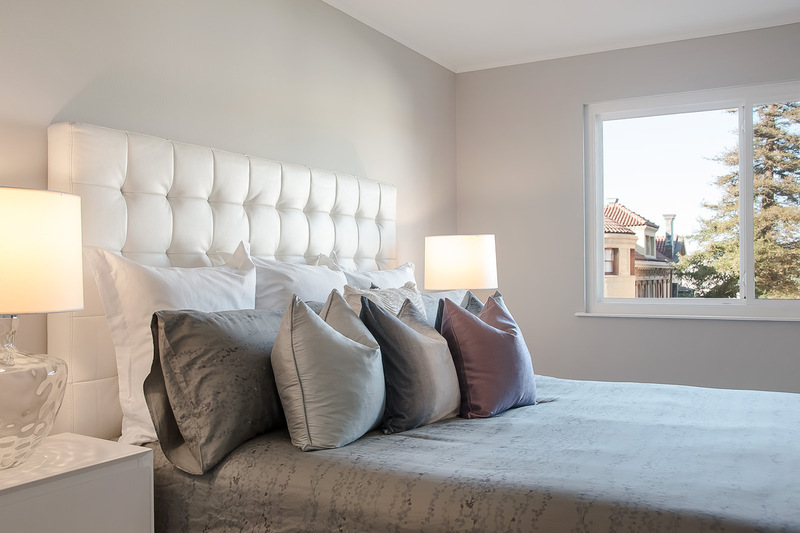 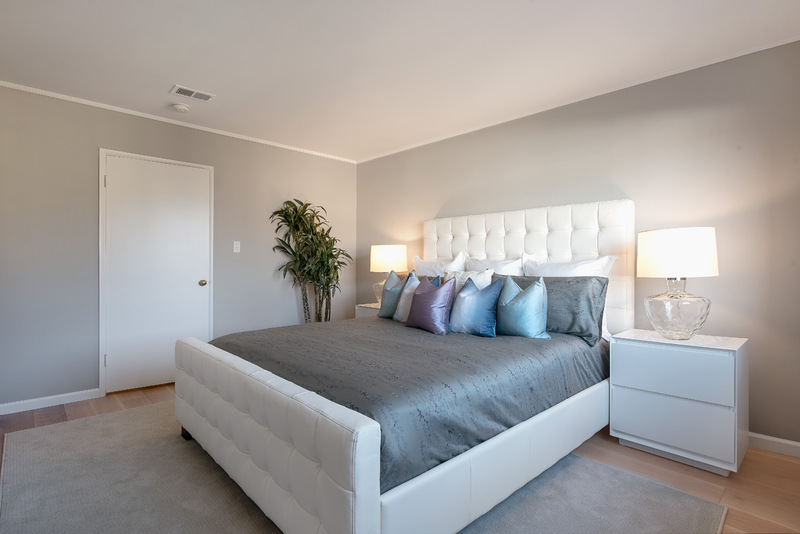 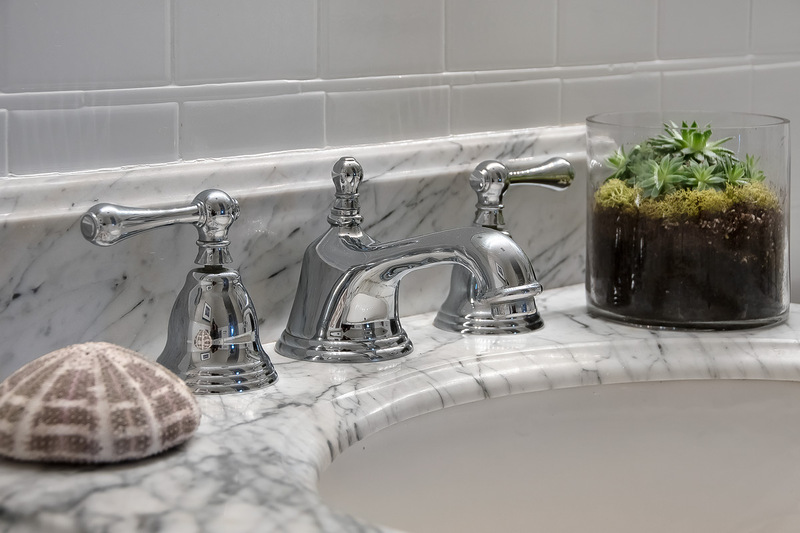 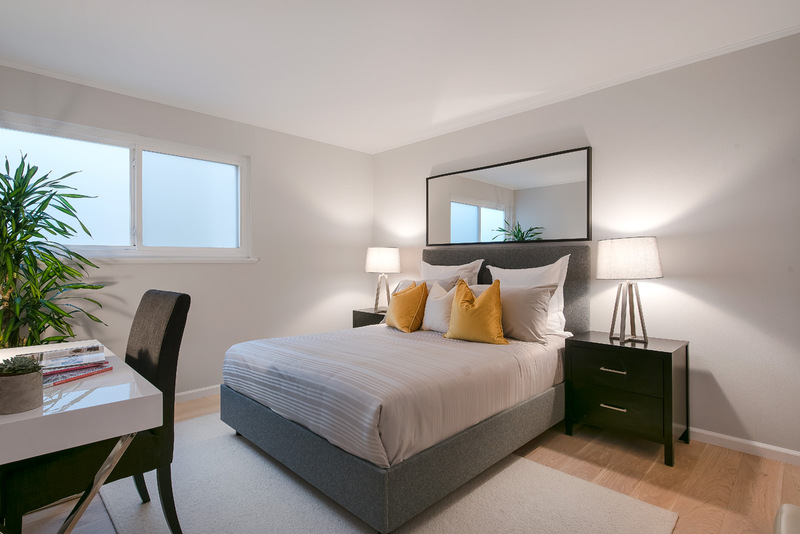 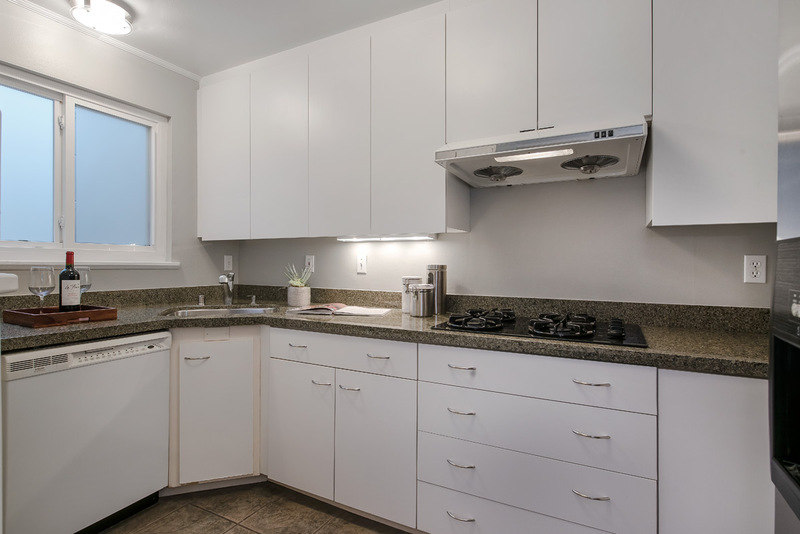 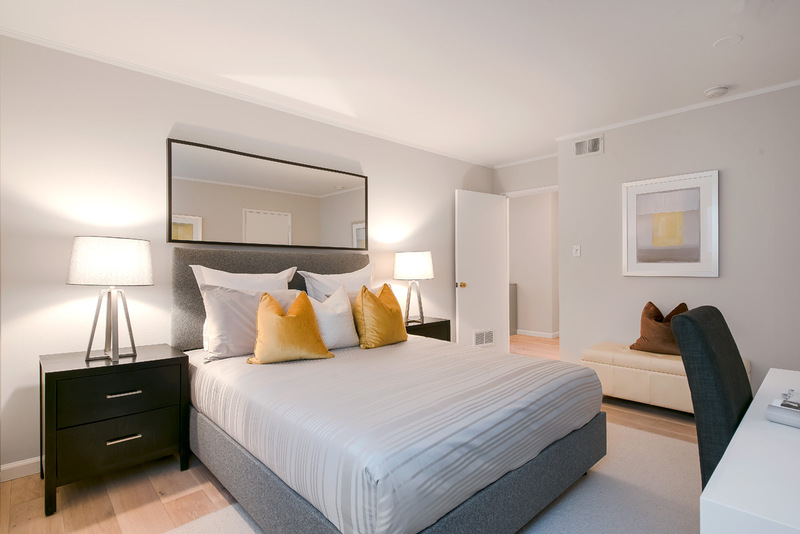 Enjoy an en-suite master bedroom with neighborhood outlooks, and an updated bathroom, and a second bedroom with an updated full bath directly adjacent. 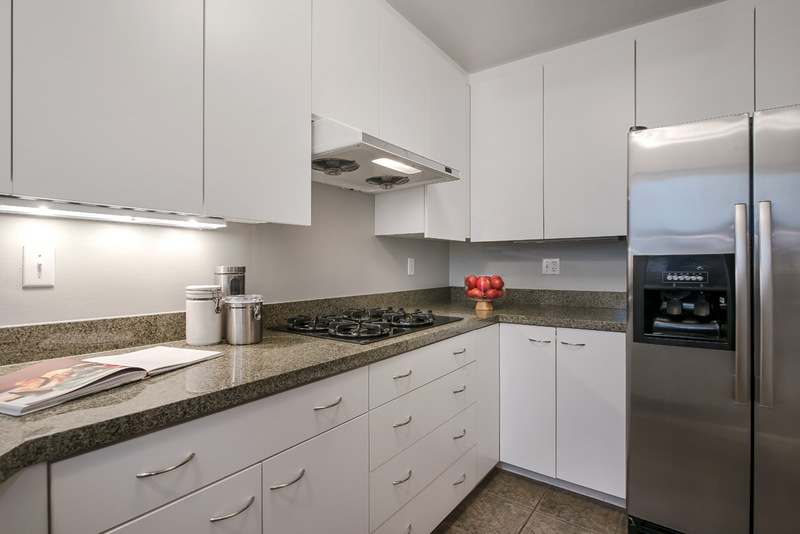 There is garage parking for one car and deeded storage. 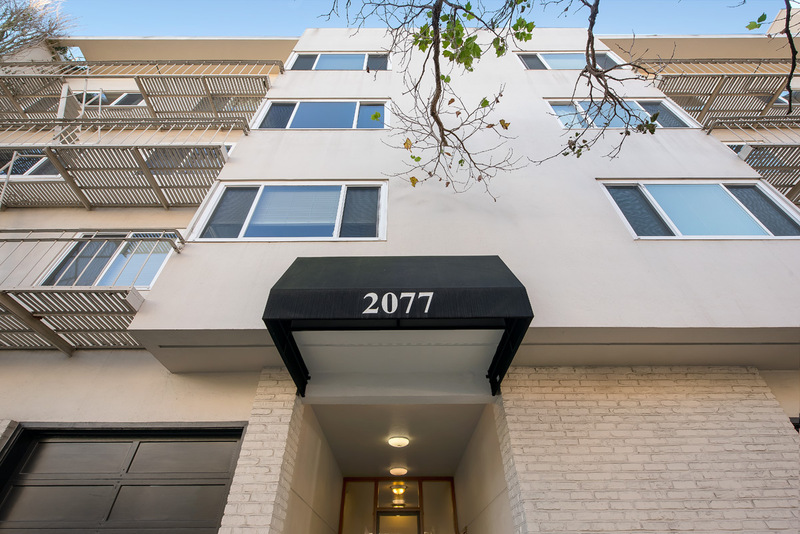 A shared laundry is located in the building. 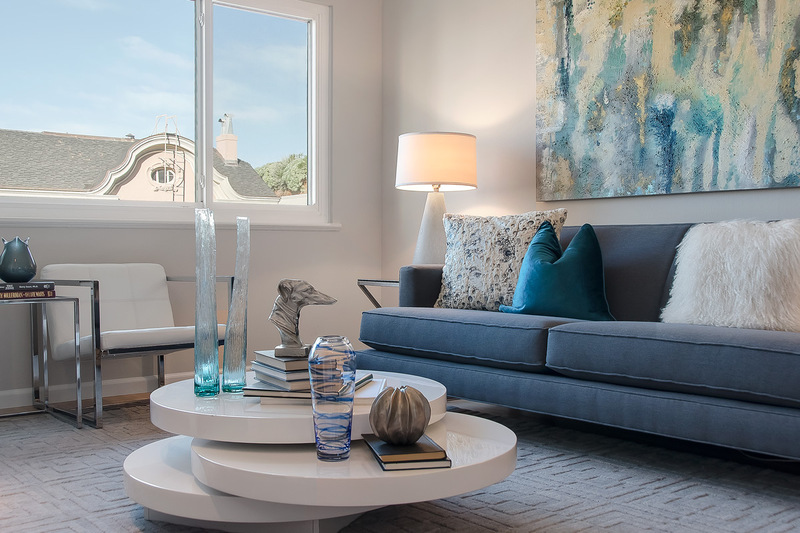 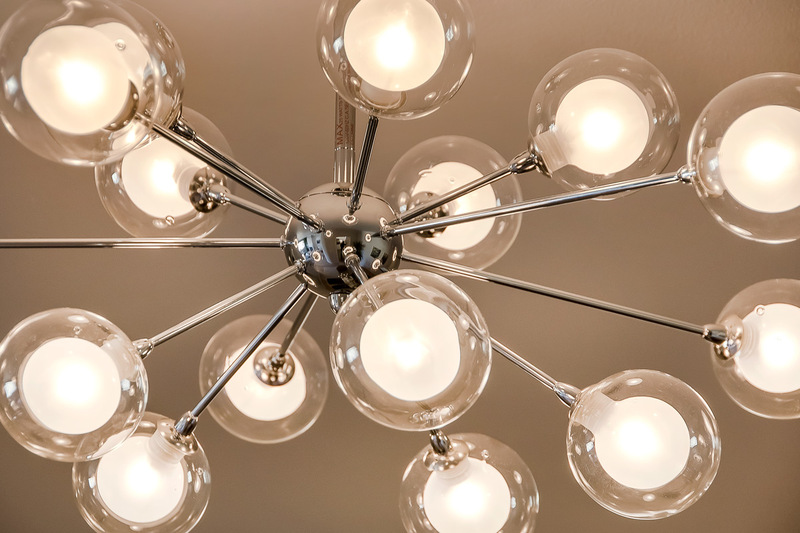 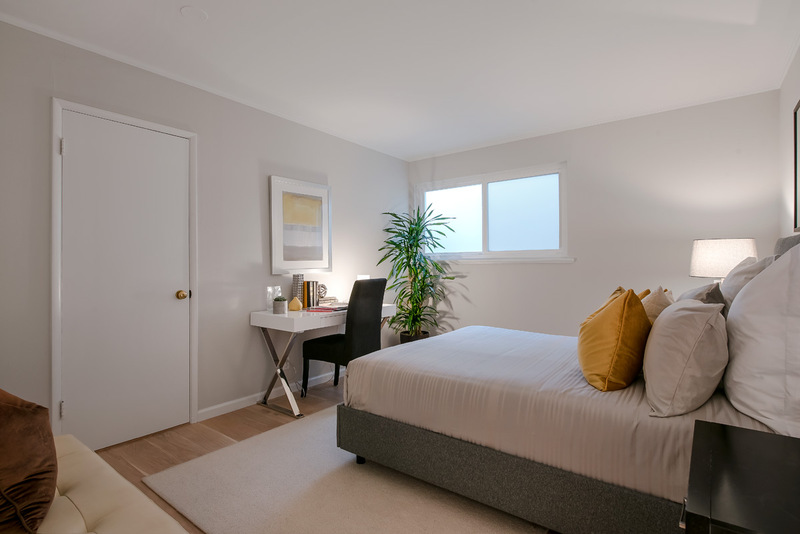 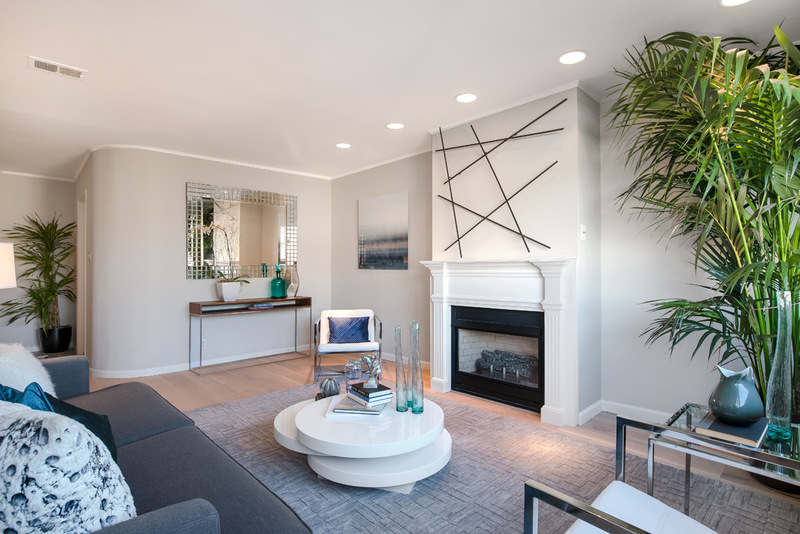 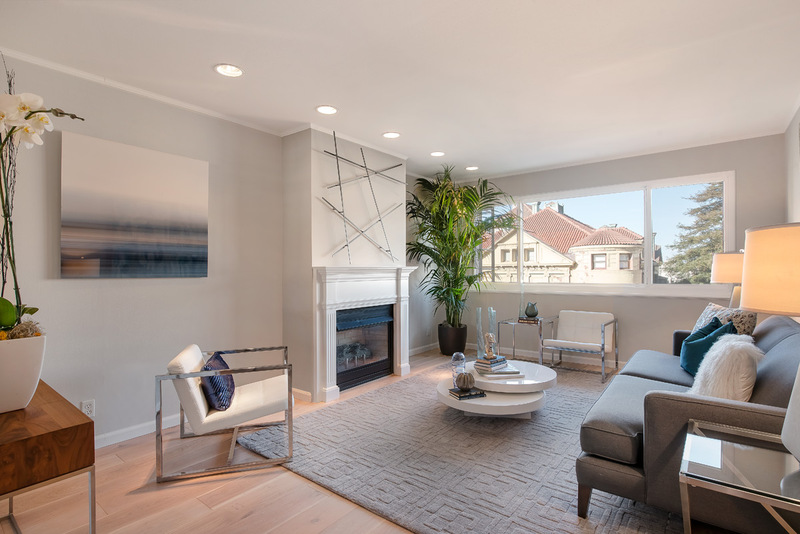 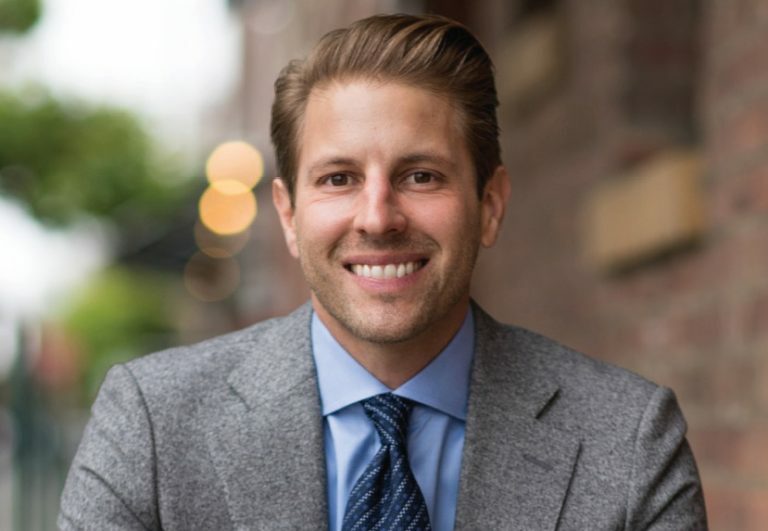 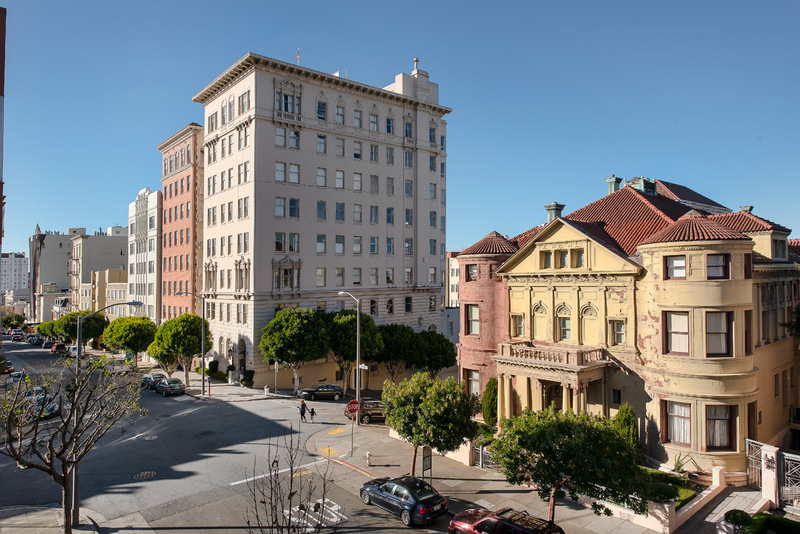 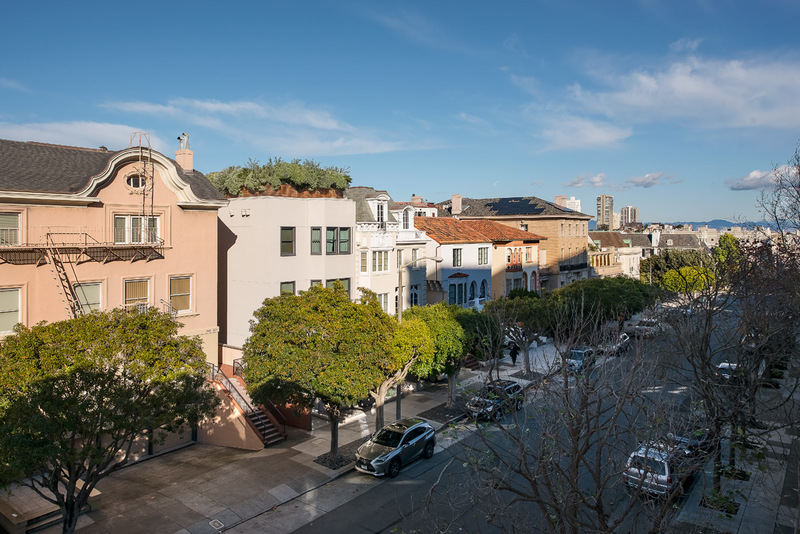 You will love the true neighborhood feel, and the convenience of being close to Lafayette and Alta Plaza parks and the hip boutiques, restaurants and cafes on Fillmore, Union and Polk Streets.